1, Connect the power, turn on the power switch of the melting furnace, use the "+" or "-" key to adjust the temperature, long press these two keys to automatically increase or decrease the temperature, use the shift key to adjust the temperature, the decimal point stops at a After the digit number, use "+" or "-" key to adjust. The set temperature value will be saved automatically after two seconds, not affected by the switching power supply. 2, microcomputer self-tuning function: If the actual temperature and the set temperature deviation is too high, self-tuning operation can be corrected, long press the control button for three seconds the temperature automatically enters the self-tuning state, AT and set the temperature display , And shows two subtitles will continue to cross flashing, until about 20 minutes after the end of auto-tuning, the screen will display the temperature you set value. Long press the "*" key after the tuning is finished until the flashing stops to exit the auto-tuning function. 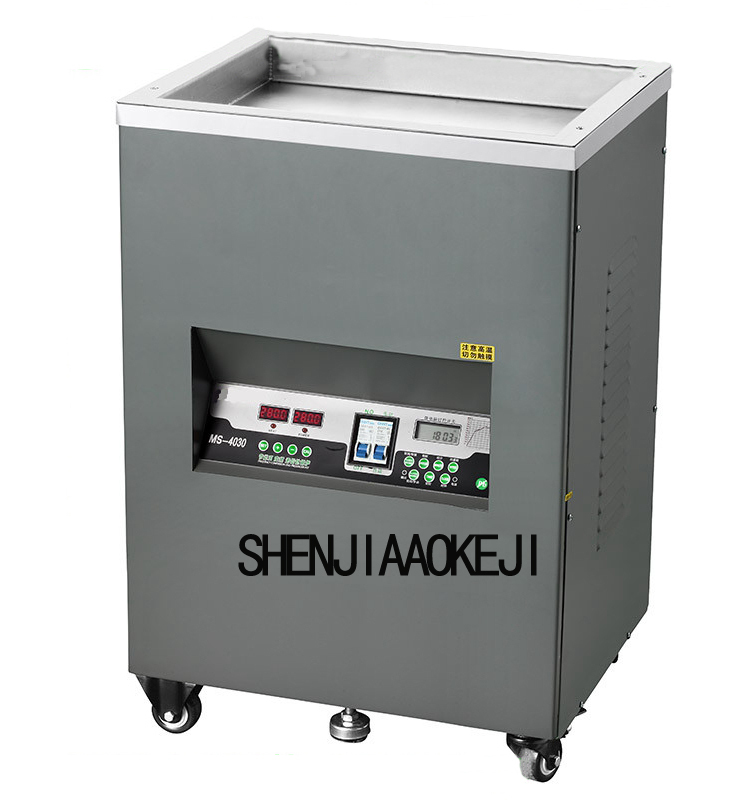 Assuming the temperature measurement and the actual temperature of the platform or the pot after the self-tuning deviation is too high, you can use the following two methods to be corrected. 1. Press and hold the "CAL" softkey for 3 seconds, the character appears, then press the "+, -" key to compensate digitally and then press the button for 3 seconds to exit. The number after the "LOC" character can only be 0, otherwise the key will fail. 2, press and hold the "SET" setting button for 3 seconds self-tuning, during the "AE" and set value will flash alternately, about 20 minutes back to normal. 1, microcomputer in the self-tuning time, the other parameters can not be adjusted. 2, in the work of self-tuning function, it takes about 20 minutes, after the end of the need for 10-minute stable process, so in this period of time high and low temperature deviation is a normal self-tuning phenomenon. 3, after boot if the left display shows the temperature is high, the right display shows HIA or ORA and has blinking, it shows that the thermocouple is open, or temperature control table failure. 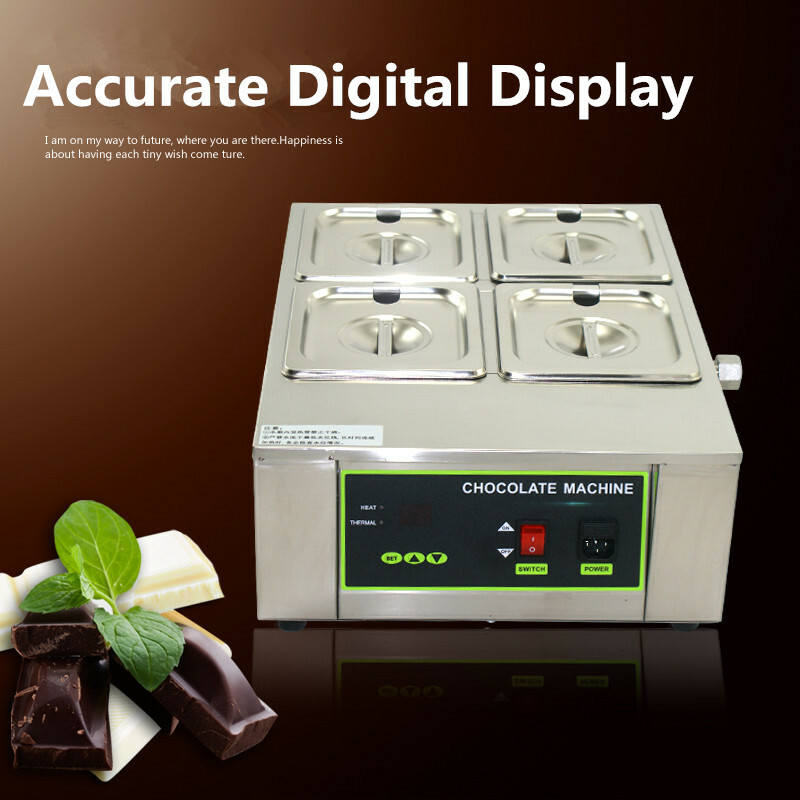 1, melting tin stove should be checked before using the power supply voltage is consistent. 2, melting tin stove should be kept dry, not in wet or rainy environment. 3, melting tin stove should be stable, prohibit the use of tin stoves in the vicinity of flammable and explosive materials and combustible gases. 4, melting tin stove operators should use goggles and heat-proof gloves, use to avoid foreign matter into the melting pot, to prevent high-temperature solder splashed from the tin pot, solder and the overall high temperature of the furnace, to Be careful and beware of burns. 5, melting tin furnace is prohibited after the move, can not be any percussion, removal and installation of other electric parts. 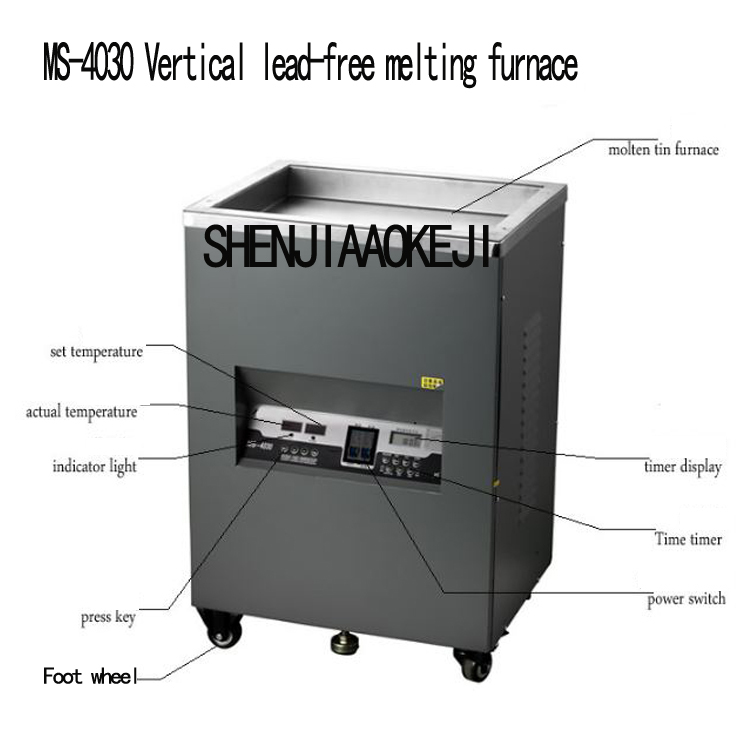 If you need to move the melting furnace, you must first cut off the power, wait until the furnace cooled to room temperature before proceeding. 6, the use of tin furnace shell temperature of 50 ° -80 °, this is a normal phenomenon, pay attention to high temperatures, do not touch the shell. 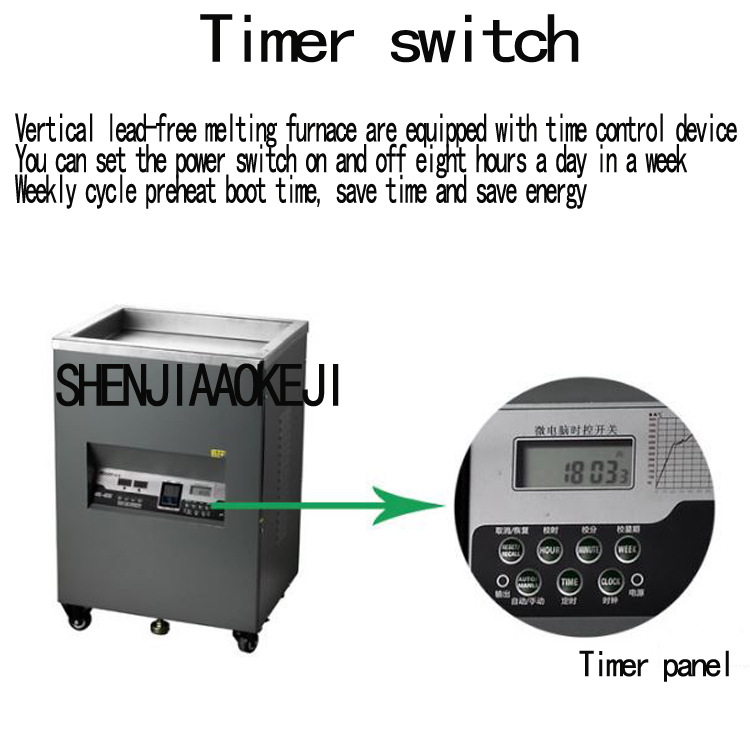 7, the use is completed, the power should be turned off, unattended, do not heat the melting tin stove. 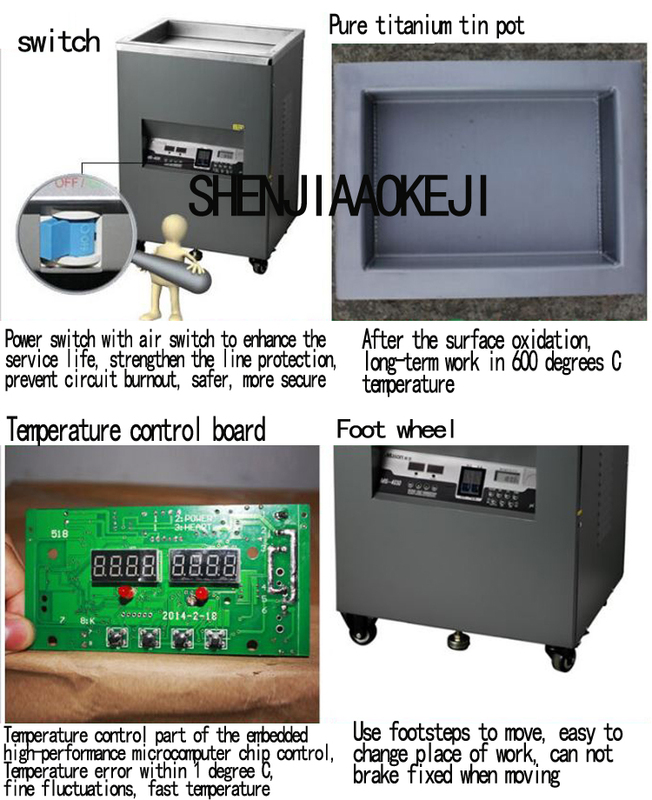 This product is a high temperature equipment, do not remember to cut off the power when not in use, so as to avoid accidents. 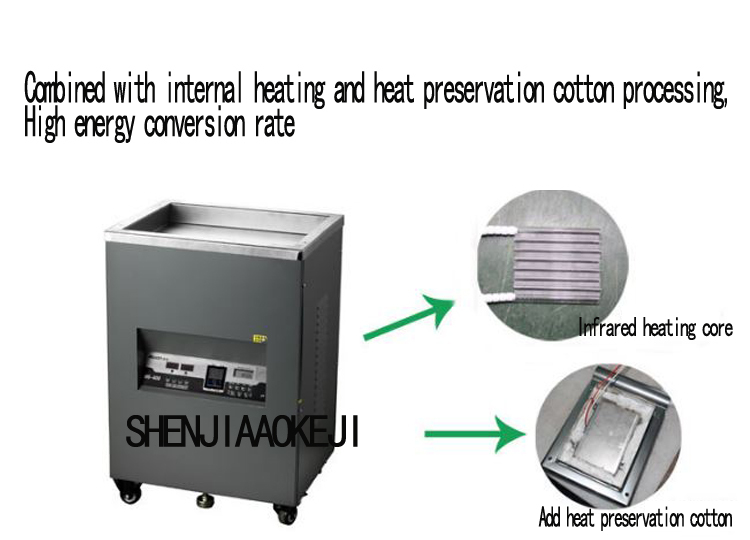 8, in order to extend the service life, and to reduce the oxidation of tin, do not blindly adjust the temperature to the highest, as required. 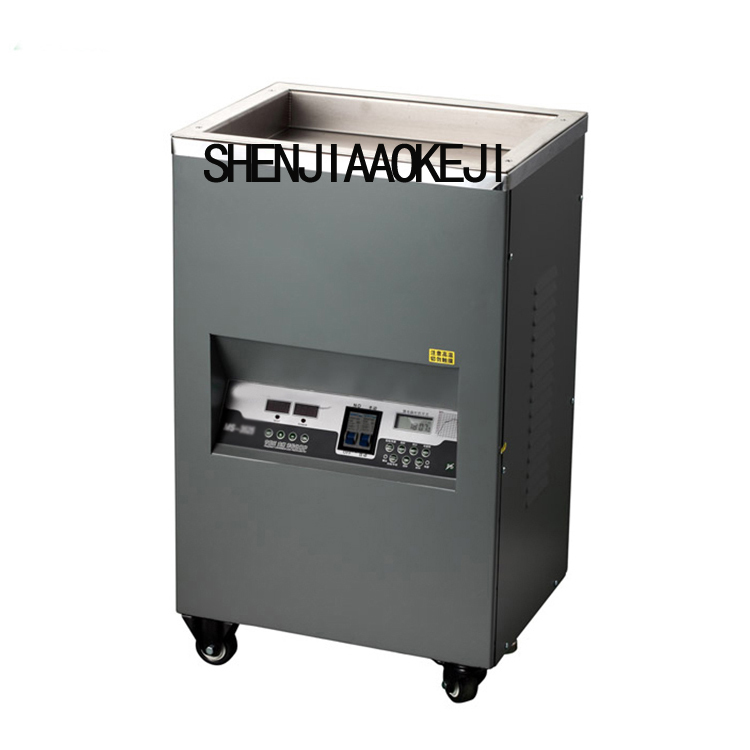 9, This product is not waterproof, does not apply to tin slag reduction, not suitable for strong acid and alkali.